Updated Wednesday February 6, 2019 by BMBA. - $50 AAA High Performance Fee/cost to participate in 3 workouts and 2 tryout days. This fee does not change if you can only make 1 workout and or tryout etc. Space is limited so please only those interested in trying out for the team are welcome to workouts. - 12 kids make team with 2 to 4 chosen as AP. External links are provided for reference purposes. 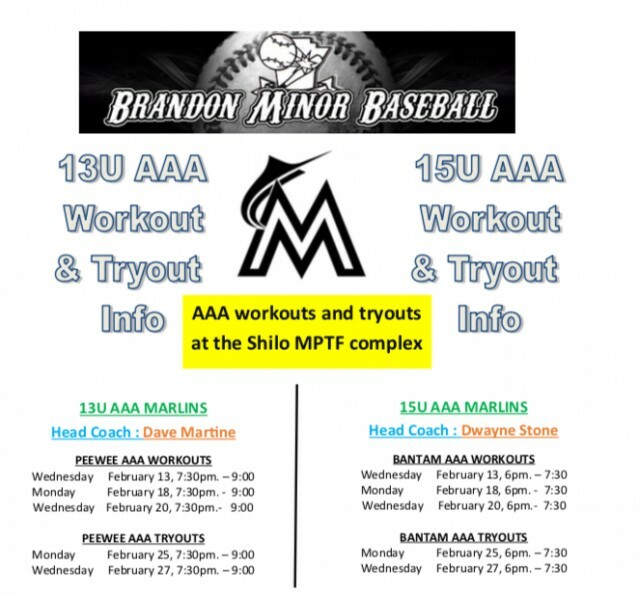 Brandon Minor Baseball is not responsible for the content of external Internet sites. Copyright Brandon Minor Baseball All rights Reserved.